Cathy Brown - Andrew Goldstone M.D. Cathy Brown has now worked with Dr. Goldstone for over 17 years, answering the phone and working the check-in/check-out counters. Prior to shifting her career to the field of medicine, Cathy took on-the-phone shoe orders for Holabird Sports. 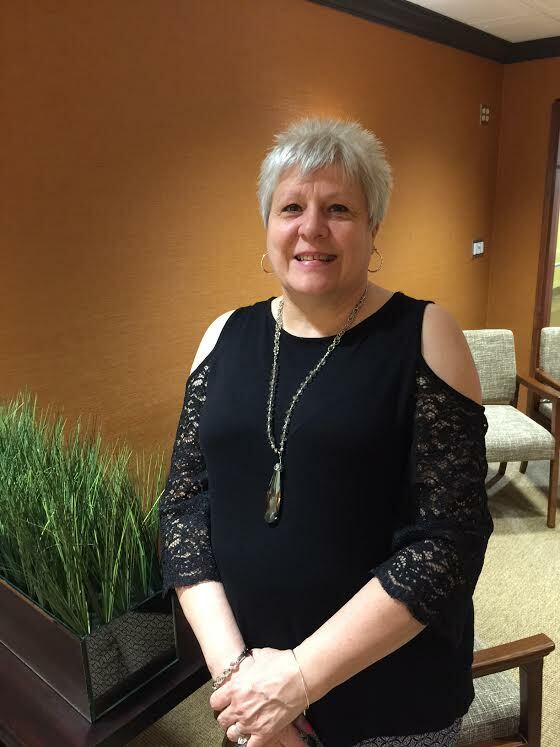 With all of Cathy's experience from selling shoes to answering calls pertaining to the Ear, Nose & Throat, we like to say that Cathy has done her job “from head to toe.” In her free time, Cathy enjoys spending days with her husband of 12 years, her two daughters, and her five amazing grandchildren. At your next visit, keep an eye out for Cathy’s smiling face as she waves you down the hall to the checkout counter.